If you haven't guessed yet, I'm a bit of a nail polish addict. I have a LOT of different shades and I'm a total sucker for new ranges when they launch. One thing I'm not so good at is nail art. When I saw that Ciate were launching a foil effect nail kit, I knew I had to get one. So after a quick lunchtime walk (run) to Selfridges, I picked up a Colourfoil kit in the shade Carnival Couture (there are currently 3 to choose from). The idea behind the kits is that you can create marbled foil effects on your nails, giving a really unusual look, without too much fiddling around. 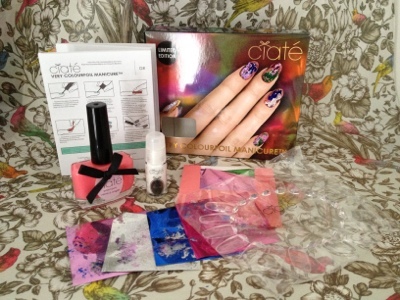 Each kit contains: a full size Ciate nail polish, 30 sheets of foils (5 of each colour), foil glue, instructions and a plastic nail wheel. To apply the foils, first paint your nails in your chosen shade of polish and allow to dry fully. Then decide which shades of foils you want to use. One nail at a time, apply a small amount of the glue to where you want the foils to stick. 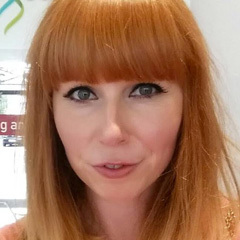 Allow the glue to become tacky (similar to eyelash glue), and then apply the foils one at a time, pressing the non-coloured side down onto the glue. Repeat for each colour you want to use, and you should end up with a unique, marbled foil nail. I used a GOSH polish as the base for my nails here. Despite my usual laziness when it comes to topcoats, it really is a must with these nails. 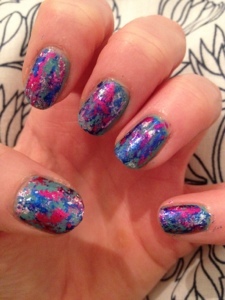 If you don't apply a topcoat, the foils will wash off when they get wet. I applied a good layer of topcoat and managed to get 3 days of perfect looking nails before the tips started wearing off. These are really simple to use, and nowhere near as messy as the sequin kit that I bought from them before Christmas. You will end up with a little excess foil around your nail beds, but this will easily wash off as it's not been protected by a topcoat. Another bonus is that they are really easy to remove. I was having sequin removal flashbacks, but the Colourfoils actually came off in seconds using my trusty Bourgois 1 second remover pot. All in all I'm really happy with this kit and will definitely be using it again and again. They retail for £18 and are currently exclusive to Selfridges, but can be bought online if you can't get to a Selfridges store. 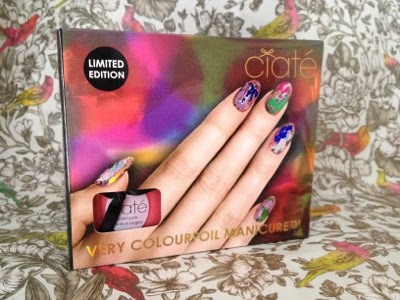 What do you think of Ciate's Colourfoil kits? This kit looks really nice, such a good idea!. Can you get this online? They look great! I saw the demo on QVC, they looked far better than I expected them to. Don't know what I was expecting to be honest. They are gorgeous, so unique!